Instagram is the fastest growing social network in the world and it’s easy to see why. We’re moving further and further away from reading to absorb our information - we want it as quickly as possible and visual. With over 700 million active users around the world, Instagram is the present and future of social media. With Facebook as the new go-to for business information, Instagram is just as integral in the success as your business. 71% of consumers are more likely to purchase a product or service from a company with an active, robust social media presence. Since Instagram is the new normal, here are some tips on the best way to leverage the photo-sharing site for your business. Kelly Alderete, Driver Provider’s director of sales development, had the script memorized. Talk about the company vehicles, our reasonable rates, the benefits of duty of care, and so on and so forth. She would schedule pitch presentations with prospects ranging from small local businesses to billion dollar corporations. Different businesses, similar conversations. Sometimes her sales approach worked; sometimes it didn’t. 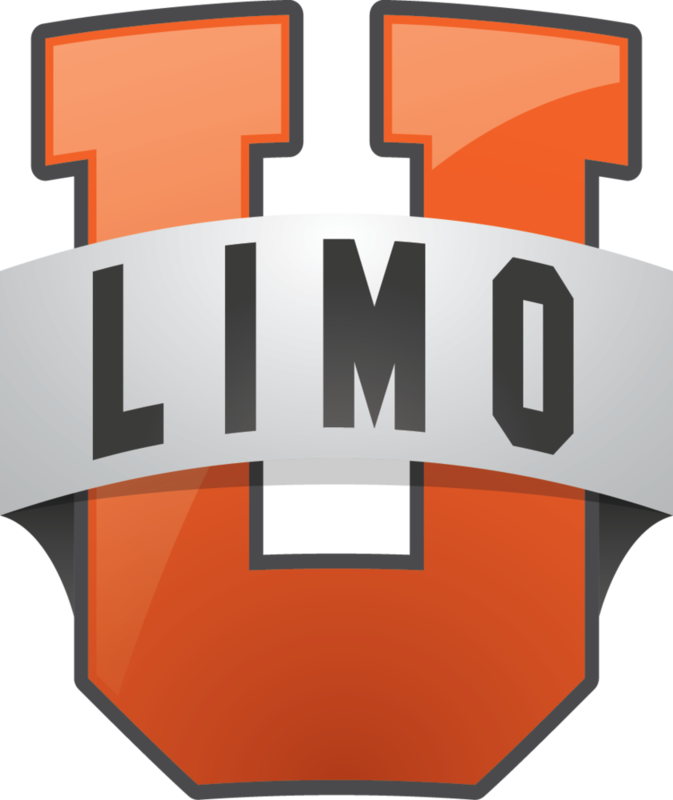 After one too many times losing prospects she felt like were layups, she asked Limo University’s Bill Faeth for advice. He gave her one, easy tool. Actually, it was simply a question: the Golden Sales Questions - one part of Bill’s Copy and Paste (C.A.P.) Sales System. At first, she was hesitant. After all, she’d gotten comfortable to her usual pitch. Now she had to transform her entire strategy from A to Z. With the freedom of the internet and social media comes so many positives. From curated content to sharing images and everything in between. But with that freedom comes an increase in intellectual property theft. Since joining IMA/Limo U, a lot of you have brought up issues you’ve had with individuals stealing your content. So, I’m here to help you not only report those incidents, but to help you prevent it from happening again. During my time at Facebook, sifting through trademark and copyright infringements daily, I (obviously) picked up a few tips on how to prevent the stealing of your content as well as how to report the infringement. Hopefully these will help you in protecting your intellectual property and allows you to keep sharing your content open and freely! Geometry. It was the only math class that ever truly made sense to me. I’ve never been the type to bend the rules, so the confines by which proofs operated aligned with my Type A, writer’s mentality. Thinking of numerical outcomes in terms of proven logic laws helped me generate answers to problems that would otherwise confuse me. You can’t have one without the other. They must be equivalent to prove the theorem true. While most of us left if/then sequences behind with school books and backpacks, the constructs can inform our marketing in monumental ways. The entire point of social media is to share. From sharing photos and news articles, to events and playlists - our entire social experience is curated specifically for us. But how does this apply to you and your limo business? 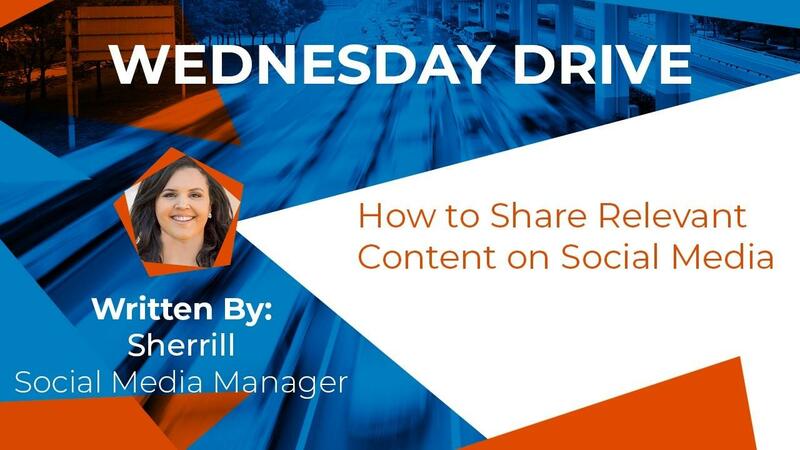 Well, when you share content from your community as well as your own, you open up endless possibilities for your online brand and easy content creation. As you’ve probably heard me mention in the past, curating your own content is always going to be your best bet when trying to build your community and social following. From a consumer standpoint, you want to see that people are enjoying your product, this is where sharing your customer’s content comes into play! All this talk about GDPR I’m sure has got some of you confused, and I’m right there with you. So, in order for me to bring this information to you, I had to do some digging myself to make sense of this new regulation. To help makes things a little easier on you, check out these five articles I researched and used to make sense of this new regulation going into effect on May 25th. Download our GDPR 5-step checklist to get started. For a simplified version and what you need to know about GDPR and how it pertains to you as a small business, Madeline’ Bennett of Diginomica Government shares what you need to do prepare for the new regulations. Market research is the “why” to your overall business plan. It’s the process you undergo when determining the reasons clients will purchase your services - especially over your competitors’ services. If you haven’t conducted market research recently, or ever, the activity can help you identify opportunities for your limo business within the marketplace. Although the term “market research” implies time-consuming measures and the assistance of third-party companies, you can actually do it to a certain degree in-house. When you own a business, it’s best to avoid making most decisions on intuition. Laying a foundation of growth on solid evidence and proven analytics will deliver long-term, sustainable growth for your operation instead of short-term surges in revenue. Owning your own business means there’s going to be numerous moving parts and keeping up with all of that can be difficult. That’s why I’ve put together a list of my favorite organization and planning apps. Hopefully these will help in your quest of keeping track of all the different tasks and employees you’ve got! First up on my favorite apps for planning and organization is Trello. 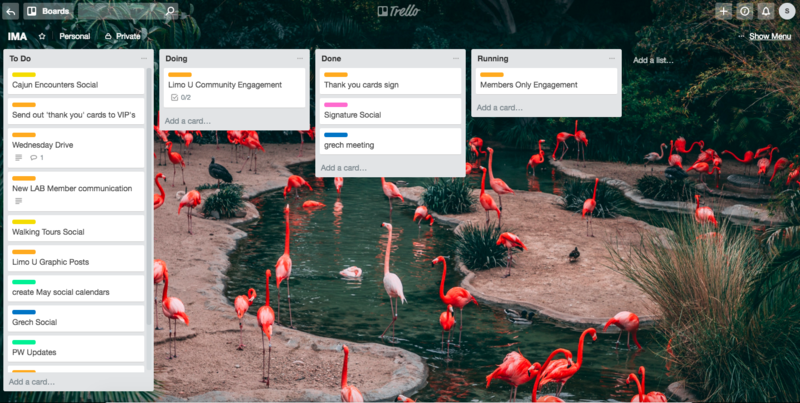 Trello is a collaboration program that organizes your tasks into different boards and columns. From what needs to get started, to what tasks are currently in progress, to finished and everything in between.